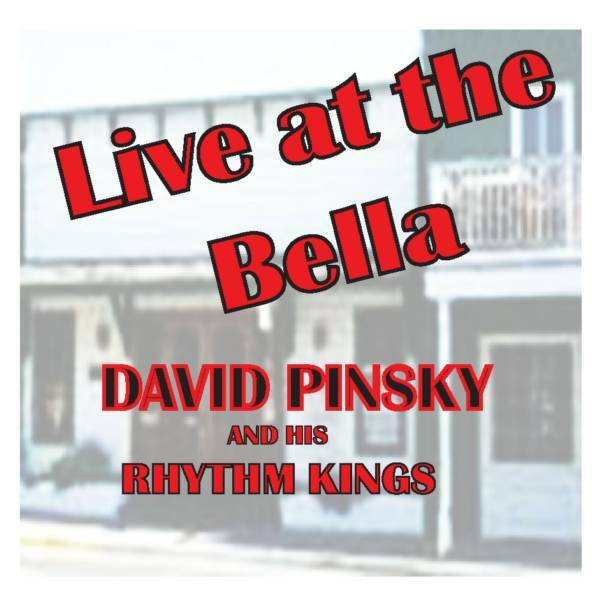 David Pinsky has spent over 30 years playing the blues, and on his latest release, Live at the Bella, he shows off what he's learned: how to have fun while talking about misery. Pinsky obviously has fun with what he's doing. He laughs in between songs and jokes with his Rhythm Kings. Before “Mo' Money”, a largely political song, he talks about asking President Obama for money. Pinsky has the kind of balance between joking too little and too much with an audience that only experience can bring. And he should – Pinsky has toured with a slew of blues musicians, including B.B. King and Bo Diddley. He's changed backup bands (and the names of them) several times, but the Rhythm Kings play smoothly enough with him that they sound like they've been there for his entire career. Pinsky has a voice made for the blues. While you can't always understand him, and the lyrics are sometimes repetitive, his singing makes up for it. He sounds at times miserable and at others jovial, all while staying in touch with the audience and making them feel included. Pinsky plays guitar and harmonica as well, and I was shocked when I found out he's the only guitar player in the band. The piano player, Gary Halliburton, is particularly noticeable, even through Pinsky's vocals and the other members. It shows Pinsky's experience again that he isn't afraid to let members of his band into the spotlight. “We're working/well I guess we're playing/music, it's this thing, you play it” he sings on “Mo' Money”, and he's got the right idea. Musicians in all genres should take Pinsky's advice and have as much fun as he is with what they're doing. 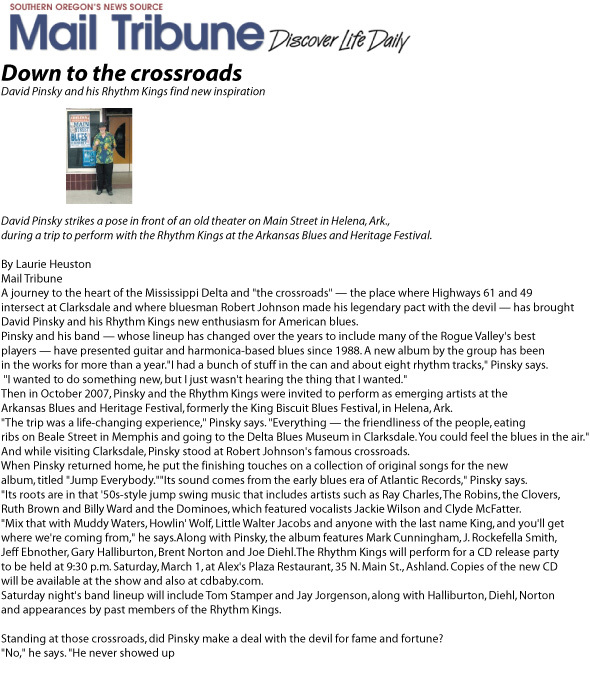 A website dedicated to all things BLUES !!!! !